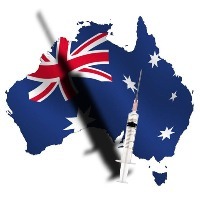 The recent controversy about the proposed visit of US vaccine activist Sherri Tenpenny raises important questions about vaccination policy and practice in Australia, and the freedom of citizens to question vaccination mandates for healthy people. It has been my experience that it is very difficult to question vaccination policy and practice in Australia due to the hostile climate created by avidly ‘pro’ and ‘anti’ vaccination factions. The Australian media, particularly News Corp Australia publications, has fostered the spiteful battle between these warring factions, producing a vitriolic discourse which is polarised and not conducive to thoughtful discussion. Objective critical analysis of complex vaccination and immunisation issues is seriously lacking in Australia. It’s time for the Australian Government to seriously consider citizens’ concerns about vaccination policy and practice in Australia, and the lack of transparency and accountability in this area. In this regard, I request that you urgently address the problem of potential conflicts of interest and lack of disclosure by people influencing vaccination policy. As the decisions of these committees can result in the imposition of medical interventions for healthy people, and massive sales of lucrative vaccine products for pharmaceutical companies, it is vital that the process of adding vaccine products to the national vaccination schedule is open and transparent, and that any potential conflicts of interest of the members of these groups are accessible for public perusal. For example, a register providing the history of any relationships with the vaccine industry, e.g. detailing research grants, consultancies, honorariums, committee memberships, plus any shareholdings in vaccine companies, royalties received, directorships etc, must be publicly accessible. If a member indicates they have no potential conflicts of interest, this must be clearly recorded. For example, since December 2012, I have asked Professor Suzanne Cory, then President of the Australian Academy of Science, for public access to disclosure statements for members of the Working Group and Oversight Committee for The Science of Immunisation: Questions and Answers publication, which was funded by the Australian Federal Government’s Department of Health and Ageing. Despite promises that this matter is being addressed, as at 21 January 2015, disclosure information is still not provided on the Academy’s The Science of Immunisation: Questions and Answers webpage. Similarly, on 26 November 2011 I asked then Federal Health Minister Nicola Roxon for details of membership of the Australian Technical Advisory Group on Immunisation (ATAGI), including their professional affiliations, and including any links with the pharmaceutical industry. While names of members of ATAGI and their affiliations are now published on the Immunise Australia website, there is still no disclosure information about potential conflicts of interest. I also raised this subject with Professor Terry Nolan, then Chair of ATAGI, but he failed to address the matter. There is also a lack of transparency about other committees involved with vaccine products. For instance the Therapeutic Goods Administration (TGA)’s webpage for the Advisory Committee on the Safety of Vaccines (ACSOV) provides a list of members and affiliations, but there is no clarity re potential conflicts of interest of these people. In fact, it is very surprising to discover that this advisory committee on the safety of vaccines is chaired by Dr Nicole Gilroy who, during the period 2005 to 2014, was also a member of ATAGI. Is it appropriate to have a person involved with the appraisal of vaccine products for the national schedule also to be in a position to evaluate post-marketing safety issues? I suggest that this is inappropriate and that there is a potential for conflict of interest. Another example of lack of transparency is the Pharmaceutical Benefits Advisory Committee (PBAC) webpage, which lists members of the PBAC and their affiliations, but again provides no clarity re potential conflicts of interest of these people. Then there is the Australian Influenza Vaccine Committee (AVIC), which recommends influenza viruses to be used in the composition of influenza vaccines. Until recently there were no details of membership of this committee provided on the AVIC webpage on the TGA website, let alone disclosure of potential conflicts of interest. In March 2014 I requested that the TGA provide publicly accessible information about the membership of this committee on the TGA website. While there is now a list of members and affiliations, there is no information re potential conflicts of interest. These examples indicate there is a serious problem with a lack of disclosure of potential conflicts of interest that needs to be addressed. Inter-relationships between these groups should also be investigated. Historical information re previous members of these groups should also be publicly accessible on the relevant webpages. Prime Minister, vaccination/immunisation is an important ethical and political issue. We are on a slippery slope when potentially conflicted advisers to the Australian Government on vaccination policy dictate lucrative medical interventions, i.e. vaccinations, without adequate transparency of the process. I request that you take urgent action to ensure the transparency and accountability of the Australian Government’s vaccination bureaucracy. *Letter submitted to the Prime Minister’s office via internet contact form on 21 January 2015. The Science of Immunisation: Questions and Answers. Australian Academy of Science: https://www.science.org.au/immunisation Neither the webpage nor the booklet provides information re potential conflicts of interest of members of the Working Group or Oversight Committee.